What the data suggest to me is that if one starts with a brain of a certain complexity and gives it enough social and ecological support, that brain will develop at least the building blocks of a complex communication system. Of course, chimpanzees don't proceed to develop full-blown language the way you and I have. Grey parrots, such as Alex and Griffin, are never going to sit here and give an interview the way you and I are conducting an interview and having a chat. But they are going to produce meaningful, complex communicative combinations. It is incredibly fascinating to have creatures so evolutionarily separate from humans performing simple forms of the same types of complex cognitive tasks as do young children. In the late 1960s, a flurry of research on the great apes—chimpanzees, gorillas, and orangutans—began to challenge our uniqueness, especially our capacity for language and abstract conceptual abilities. Everyone soon weighed in on this debate including the linguist Noam Chomsky, the philosophers John Searle and Daniel Dennett, and the psychologist Burrhus Skinner. One corner of this debate focused on the assumption that you need a big primate brain to handle problems of reference, syntax, abstract representations, and so forth. It was to this corner of the debate that Irene Pepperberg first turned. She started with a challenge: do you really need a big primate brain to run these computations? 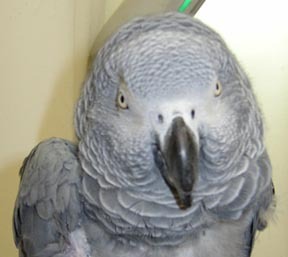 After over 20 years of work with her African Gray parrot Alex, the clear answer is "No!" Irene's intellectual journey with Alex is an impressive one because she has sustained a consistent line of research exploring some of the deepest problems concerning the nature of mind, and in particular, the relationship between language and thought. Her work has revealed that Alex can grasp important aspects of number, color concepts, the difference between presence and absence, and physical properties of objects such as their shape and material. These results are not only relevant to the evolution of human cognition, but they are also relevant to the evolution of animal cognition. 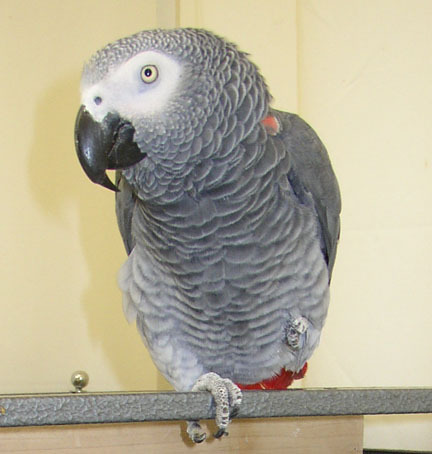 By understanding what animals such as Alex can do under tigthly controlled laboratory conditions, we can apply such knowledge to what parrots do in the wild, the kinds of strategies they might use to negotiate in such a complex social world. How far this work will go is anyone's guess, but it is clear that Irene, Alex and her new stars will teach us a lot along the way. —Marc D. Hauser, Director of Primate Cognitive Neuroscience Laboratory at Harvard, and author of Wild Minds: What Animals Think. IRENE PEPPERBERG studies Grey parrots. The main focus of her work is to determine the cognitive and communicative abilities of these birds, and compare their abilities with those of great apes, marine mammals, and young children. She is studying the mechanisms of their learning as well as the outcomes. Dr. Pepperberg is a a research scientist at the MIT School of Architecture and Planning, and a Research Associate Professor in the Department of Psychology at Brandeis University. For the past 26 years I've been studying the cognitive and communicative abilities of Grey parrots. My oldest bird, Alex, can identify about 50 different objects using English labels. He can also label seven colors, five shapes, and quantities up to and including six. He has functional use of phrases like "I want X" and "I wanna go Y", where X and Y, respectively, are object or location labels. He combines these labels to identify, refuse, request and categorize more than a hundred different items. He has concepts of bigger and smaller, of category, of sameness and difference, of absence of information, and of number. We test him not only through direct questions about these concepts (e.g., "What color bigger?" for two differently sized and colored blocks), but also by using questions that involve complex structures—recursive phrases or conjunctive, recursive phrases—such as, "What object is green and three-corner? "; he answers all these questions with about 80% accuracy. We think the reason he doesn't achieve 100% accuracy is boredom; he seems to get tired of repeatedly telling us about colors and shapes and materials. For example, he sometimes will state every color but the correct one, behavior that suggests that he is carefully avoiding the right answer; statistically, he couldn't do that by chance. He also understands categories in terms of hierarchical levels, so he knows that there's this weird (to him) sound called "color" and under that weird sound are grouped all these other sounds called "red," "blue," "green," "yellow," "orange," etc. that relate to a specific set of physical attributes of objects. Similarly, he understands there is another weird sound, "shape," and under that sound there are the other sound patterns "two-", "three-", "four-", "five-", and "six-corner" that relate to different physical attributes of the same objects. We can teach him new ways of categorizing items. If he's already learned to categorize items by color and shape, we can then ask him to categorize them by number. Furthermore, Alex demonstrates a certain level of intentionality involving requests. If he says that he wants grape and you give him a banana, you are going to end up wearing the banana. Over the course of the last 26 years or so we've also pursued studies with other birds on a variety of different topics, some of which demonstrate very interesting parallels between vocal communication in birds and humans. We've fairly recently completed a wonderful study with the middle bird, Griffin, based on some work by Patricia Greenfield, and I have to provide a bit of background for the importance of the study to be appreciated. In the 1970s, Greenfield looked at young children and found that at the time they start serially and hierarchically stacking toys like cups and rings in perfect order, they also start combining their labels in somewhat regular syntactic patterns; that is, they begin to produce phrases like "Want cookie," or "Want more milk." Greenfield initially argued that this synergy is a uniquely human trait and that it heralds the emergence of human language. She later argued that both these behavior patterns were initially controlled by one particular part of the brain, Broca's area, and that as a child matured, the area simply separated into sections for physical and linguistic combinatory behavior. At this time, she also was looking at data from chimpanzees that were using sign language and computers to communicate with humans, and found that, lo and behold, just when the chimps started to stack their cups and rings hierarchically, they also started putting together their symbols to form phrases like "Want more banana." Greenfield thus decided these behavior patterns were unique to primates and were involved in the evolution of language. She furthermore argued that the ape had a homologous, if more rudimentary, Broca-like system that allowed it to perform the same types of early combinatory behavior as did children. In hindsight what is fascinating about this material is that Greenfield's proposal was published about four years before the first papers on mirror neurons appeared. If you know anything about mirror neurons, you realize the connection. Mirror neurons are those bits of the brain that respond to an action the same way whether you see the action being performed or if you do the action yourself. This response occurs for both gestural actions (those done physically, with one's hands), and those done orally (with one's mouth). And many of these neurons are in Broca's area. Thus data exist that can be interpreted to support the gestural origin of language; that is, that a small change in one part of the brain could have led to the change from learning communicative gesture to learning speech through an imitative program, and that the same area could indeed initially be used for both simple gestural and linguistic combinations. In the 1990s, Greenfield and her colleagues began studying the same types of tasks with monkeys (who, by the way, can't imitate), seeing how far through the primate line these abilities extended. They found that monkeys can be trained, slowly and painfully, to do serial hierarchical stacking, and that examination of their natural vocalizations uncovered some limited combinatorial ability — maybe one or two calls that they will put together. Thus monkey combinatory ability exists, but is not very well-developed. Greenfield and her colleagues proposed a split within the primate lineage: between the monkeys that don't have spontaneous complex combinatory communication or complex physical combinatorial skills, and the chimps and humans, who do—with the human abilities far outstripping those of the apes. Greenfield didn't study orangutans or gorillas, but these apes (given studies on their use of American Sign Language) are probably at the same level as the chimpanzees. Thus, researchers had data supporting the uniquely primate origins of language — a beautiful story. "Except," as my friend and colleague Mike Tomasello would say, "for that damn bird." Mike and I joke a lot about this phrase, because many times when he presents his data he says that the described behavior is found only in primates — except for "that damn bird," referring to the abilities that my Grey parrot, Alex, has demonstrated. It was not Alex this time, however, but Griffin. One of my students was cleaning up the laboratory and we recycle whatever we can, so she was collecting all the empty bottles, throwing them in a bin, and separating out all the caps and putting them on the counter where Griffin was sitting. She calls me over and says, "You told me that parrots are destructive foragers and that they don't really put things together, so come here and take a look." And there was Griffin, taking smaller caps and putting them into bigger caps, and picking up the pairs and throwing them off the side of the counter. This incident occurred at about the same time that he was saying things like "want walnut," and "green grape," and other combinations of that nature. We took a deep breath and said, "Okay, we have a nice anecdote but we have to look at the behavior scientifically." So we started examining three-level combinations. We began by giving Griffin lots of different bottle caps and jar lids and things that he could put together, and by training him on a very small number of three label combinations — two-corner wood, two-corner paper, five-corner wood, five-corner paper — to give him the idea that he had to combine his labels. There's no reason for the parrots to make three-label combinations spontaneously; we must train them, because we're teaching them our language rather than trying to understand theirs. Interestingly, he did a single three-level combination with the caps early on, and then stopped. Too, training on three-label combinations took an inordinate amount of time. Usually when we train him on vocal labels, he starts making some attempt after about 20 sessions. That's at most ten weeks. Usually it's much less than that, but 10 weeks is the worst-case scenario unless other issues are involved. We started the experiment around June, and months went by and he wasn't putting together more than two bottle caps or lids and wasn't saying any three-label combinations, but we kept working. In February, within the space of ten days, he started making three object combinations and started putting three labels together. Ten days! It was as though something in his brain had had to mature or some wiring had to develop. Interestingly, over the course of the experiment, the percentage of three-label combinations and the percentage of three-item combinations were the same: about six to ten percent. He wasn't very proficient at any of the triple combinations but he was forming them. He continued primarily to utter two-label combinations and construct two-object combinations; he succeeded on something like 200 of 210 two-object attempts, performing easily and correctly. The fascinating point, in addition, was that of all of his vocal three-label combinations, he used only one on which he had been trained. The rest of his three-label utterances were ones he put together himself, like "want green nut" or "wanna go chair" or "you wanna go chair." He used 14 representative three-label combinations and repeated each of those many times. Now, parrots don't have a Broca's area. They may have something like a Broca's area, but Griffin's data demonstrate that simultaneous emergence of physical and vocal combinatory behavior is clearly not unique to primate brains, nor to human language. We have to go back to dinosaurs if we're looking for something homologous in terms of brain evolution. Even if we believe that we are seeing convergent evolution, convergent evolution still requires a basis on which to build. Why is this material important as well as fascinating? Because it suggests that to understand the evolutionary bases for cognition, we must also examine cognition in creatures quite removed from humans. Other forms of cognition exist that are as interesting, as important, and that might have similar evolutionary bases. Parrots live in an environment that both matches and differs from that of apes. With respect to similarities, birds also have to deal with a complex ecology. Grey parrots, for example, forage up to 60 kilometers a day. They are at least as long-lived as apes, so they must keep track of changes in the rain forest and the savanne over the course of 30 to 60 years — both seasonal changes and long-term environmental changes. Greys live in large flocks. Unlike apes, they separate out into pairs during breeding seasons. We don't know too much about their social strata, but they definitely defend their nest areas from other pairs. We suspect, given what we see in the laboratory — and this is not a joke — a definite pecking order and hierarchy, at least in small groups. We know that chimpanzees and monkeys must keep track of social strata by what in humans would be termed "transitive inference" — that if Sam beat up on Joe and Joe beat up on me, I'd better not even go near Sam. This information is important for survival in a group. But such information also is not static; it has to be upgraded over the course of the animals' lives. Possibly parrots have similar strata. Nick Humphrey suggested these ideas almost 30 years ago; that is, given a long-lived creature that exists in a complex socio-ecological system, that creature has likely been selected for high-level intelligence and cognition. I think those same evolutionary pressures work on parrots. My interest in parrots developed in a somewhat unusual way. My doctorate is actually in theoretical chemistry from Harvard, but I was not a very happy chemist. I was good at it, but not very satisfied. While working on my doctorate, I saw several NOVA programs — that was the first year of NOVA — programs on the signing chimps, on singing whales, on communicative studies with dolphins, and the critical one, "Why do Birds Sing?" Researchers presented data on the complex communication of songbirds, and how it was somewhat learned. And there was a striking interview with Peter Marler, who, as a botanist/chemist graduate student, noticed the different chaffinch dialects in the various areas in which he was collecting biological samples, and who described how he switched from chemistry to birdsong. It was an epiphany for me: First, the realization that one could switch from chemistry to studying birds; second, that nobody was studying birds the same way that primates were being studied. I had had parakeets as a child, and my pets always talked. So, here was a creature that could actually talk to you, and that seemed rather intelligent, and no one was trying to teach it to communicate with humans using meaningful speech. That's when I decided to pursue this topic. By the way, I did finish the doctorate. I spent 40 hours a week finishing the doctorate, and another 40 hours a week reading in the libraries at Harvard and sitting in on courses, training myself in biology, in child language, in psychology, a little bit of anthropology — all the topics one would need to pursue studies in animal-human communication. My work was not initially thought possible. When I first wanted to begin this research, I submitted a grant proposal to NIH, and the panel came back with reviews essentially asking me what I was smoking, because nobody thought birds could do anything remotely like what I was proposing. So I worked with undergraduate volunteers, with my friends' high-school children, showed that parrots could referentially label objects, and resubmitted the grant to NSF. I got a very small amount of funding, and came up for renewal. Then the reviewers said, "That's fine, but do parrots understand categorization?" So my students and I showed that Alex could label an object by its color, its shape, and its material; we demonstrated an understanding of hierarchical categories that I described earlier. Nobody thought birds could do that. Then my critics said, "That's all well and good, but parrots don't have concepts of 'same' and 'different' the way Premack's chimps do." So we made Alex do this task "backwards and in heels": Premack's chimps had only to designate whether two objects were the same or different; Alex had to look at two items and tell you the label of the category that was the same or different, that is, with respect to color, shape, or material (e.g., we'd give him two wooden squares of different colors, and ask "What's different? ", or a yellow paper triangle and a blue wooden one and ask "What's same?"). Then we started looking at concepts of absence, because people said that animals don't have such a concept. I argued that of course they have to respond to absence of information in the wild: They understand that "if my neighbor bird is not singing, it is probably gone and I can invade its territory." So we demonstrated that Alex could respond "none" if nothing was same or different about two items. The same issues arose with concepts of number. Lenneberg wrote papers in the late 1960s to early 1970s basically saying that animals don't have a number sense because they don't understand abstract representations and relational concepts. We therefore did a series of studies on number, showing that Alex could, for example, look at a tray of intermingled red and blue balls and blocks and tell us how many blue blocks were on the tray (that is, ignore the red and blue balls and the red blocks, and focus on one subset of items); a four-year-old child has problems with such a task. And so it continues. Every time that people said that parrots can't do something, I've been able to show that they have some ability with respect to the concept in question, and in some cases I've been able to show more complex understanding than other researchers have been able to show in the primates. A lot of people are interested in the work I'm doing. Certainly the primatologists and psychologists are interested, because of the comparative issue. Anthropologists, for the same reason. Ornithologists are becoming more interested as they realize how much intelligence birds need to survive in their ecological niches. Medical researchers are interested, because it turns out that the training techniques we use for the birds tend to work extremely well for autistic children. 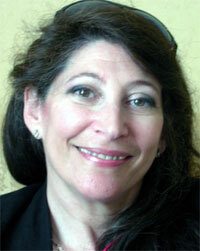 I work with a clinician in Monterey, California named Diane Sherman. She has a private practice, and has a Grey parrot — that's how we met — and she's taken these techniques we use for training our parrots and adapted them with incredible success for use with children who have various social and communicative disabilities. How successful the techniques are depends to some extent on where the child starts — she can't take a child with almost no skills and bring it up to a level that's normal for its age — but every child she's worked with, using our procedures, has made significant gains. My research is also really important for the pet industry. What I've tried to explain to parrot owners is that what they have in a cage in their living room is a creature with the sentience of a four- to six-year-old child. I try to convince them that you can't just lock it in a cage for eight hours a day without any kind of interaction. I don't mean just interpersonal interaction, or having other birds around; parrots have to be intellectually challenged. In the wild they are constantly challenged. They are challenged to find food, they are challenged to avoid predators, and they are challenged by the intra-flock interactions. In contrast, what does a pet do? The bird sits alone in a cage all day, with ample food and water in nice accessible cups, and vegetates. Some birds in such situations pluck their feathers; they scream, they bite — they act in ways similar to those of a 4-year-old having a temper tantrum because it had been left it alone in a playpen for eight hours with maybe one toy and some snacks. I've tried to help these people understand what they are getting themselves into, and hopefully have convinced them to enrich the lives of these birds as much as possible. One of the other things to remember when you have a pet parrot is that this bird is a flock creature. One parrot in the wild is a dead parrot. It can't forage and look for predators at the same time. So when you have one bird in your house, or even two birds of separate species, you have a bird that is seeking companions as well as stimulation. One of the things we were trying to do when I was at the Media Lab was to devise different types of computer-based enrichment programs for these birds. We created something called "InterPet Explorer," which was a modified Web browser for the bird. We hadn't developed it fully, but the bird had four choices of input. It could see video, listen to music, see pictures, or play a game that we were designing. Within each of those categories were four choices. Under the music selection, for example, the bird could initially choose from clips of rock, country, classical or jazz. Alex would play with this system for about an hour in the morning before we came into the lab. At first he was interacting with it a lot, and then seemed to lose interest; the students were concerned that the system was a failure. I asked them, "Well, how often are you changing content?" The students looked at me as though I was insane and replied, "What do you mean?" And I said, "How often do you want to hear Vivaldi's Cello Concerto?" They then reorganized the system to use four different channels of Internet radio so that Alex had something different whenever he clicked a choice, and Alex's interest shot back up. Ben Resner and Bruce Blumberg created "[email protected]," in which you could play with your dog over the Internet while you were at work. These are examples of the kinds of interactive systems we were trying to develop, so you could sit at your desk during your coffee break and use cameras and computers to connect with your animals. I hoped it would be the start of a serious research program, not just for pets, but also to enrich the lives of various species in zoos and even research subjects in animal care facilities. For a lot of reasons, it didn't happen. The idea is still out there, though, and I think somebody is going to pick it up one of these days and run with it. There are many studies my students and I still want to do with our parrots. For example, we want to look at spatial concepts. For people, "over" and "under" are pretty standard concepts. We know what's over us and under us, and, yes, we can crawl under a table and change our perspective, but that's a special case. Parrots, in contrast, are much more three-dimensional. As they fly, within a second what is over them is under and vice versa. Could a parrot understand the concept of over and under separate from the relationship to its own body? So, for example, if it learned to tell you that the key is above the cork with respect to the midline of its head, what would happen if you then moved both objects above its head? Could it still understand "over" and "under" for two items when they are not correlated to its own body as the frame of reference? We also want to pursue number work further. At present, Alex can identify quantities up to six, but is it real counting? Would he succeed on a Piagetian style task in which you give him two lines of objects — with the same numbers of items — but then you crunch one together, to make it shorter. If you ask children, at one point they come to understand that the numbers are the same in the two lines, but earlier in development they confuse length with number; how will parrots respond? We are going to do some more studies with recursion. Hauser, Chomsky and Fitch published a paper in Science at the end of October 2002 stating that only humans produce recursive phrases and that recursion is thus what separates human language from animal communication systems. Well, parrots, dolphins and sea lions respond to recursive sentences. Dolphins and sea lions will differentially respond to statements such as "Touch the surfboard that is grey and to the left" versus "Swim over the Frisbee that is black and to your right." Alex responds to questions such as "What object is green and three-corner?" versus "What color is wood and four-corner?" or "What shape is paper and purple?" Hauser et al. claim that the animals' responses involve comprehension rather than production, and therefore don't count. But comprehension is often used as evidence of proof of concept, particularly in young children who aren't yet verbal. Rather than argue, we are trying to train Alex now to produce long phrases in response to questions like "Where's the key?" or "Where's the nut? "; that is, have him tell us "It's in the blue cup that's on the tray," in contrast to "It's in the yellow box on the chair." Those are some of the types of tasks on which we are really eager to start working. Such research again touches on the relationship of my work to that of people who are looking into topics like consciousness and what defines human language; that is, how does one reconcile arguments for the uniqueness of humans with evidence for lower-level building blocks of these phenomena in other creatures? Researchers such as Pinker and I get along well because I never claim that Alex has full-blown language; I never would. I'm not going to be able to put Alex on a "T" stand and have you interview him the way you interview me. But Alex has basic building blocks that are language-like behaviors — and also elements of phenomena like consciousness and awareness. Is Alex conscious? Personally, I believe so. Can I prove it? No. Does he have perceptual awareness? That I can definitely prove. We can give him Piagetian object permanence tasks, where you hide things in various ways under cups; Alex and Griffin show that they know that the objects are still there, meaning that they understand that "out of sight" does not mean that the object ceases to exist. We play the equivalent of shell games with our birds (like games at carnivals, where you hide an object under one of three cups and then switch the cups around), and both birds still find the hidden item. We did one study in which the procedure requires the experimenter to deceive the subject. You make believe that you're putting the object under one cup but you sneak it under another other or replace it with a less desirable item. So Alex goes over to where he expects the item to be, picks up the cup, and finds that the nut is not there; he starts banging his beak on the table and throwing the cups around. Such behavior shows that Alex knew that the object was supposed to be there, that it's not, and he's giving very clear evidence that he perceived something, and that his awareness and his expectations were violated. Griffin responds the same way. There are some things that the birds do that, colloquially speaking, "just blow us away." We were training Alex to sound out phonemes, not because we want him to read as humans do, but we want to see if he understands that his labels are made up of sounds that can be combined in different ways to make up new words; that is, to demonstrate evidence for segmentation. He babbles at dusk, producing strings like "green, cheen, bean, keen", so we have some evidence for this behavior, but we need more solid data. Thus we are trying to get him to sound out refrigerator letters, the same way one would train children on phonics. We were doing demos at the Media Lab for our corporate sponsors; we had a very small amount of time scheduled and the visitors wanted to see Alex work. So we put a number of differently colored letters on the tray that we use, put the tray in front of Alex, and asked, "Alex, what sound is blue?" He answers, "Ssss." It was an "s", so we say "Good birdie" and he replies, "Want a nut." Well, I don't want him sitting there using our limited amount of time to eat a nut, so I tell him to wait, and I ask, "What sound is green?" Alex answers, "Ssshh." He's right, it's "sh," and we go through the routine again: "Good parrot." "Want a nut." "Alex, wait. What sound is orange?" "ch." "Good bird!" "Want a nut." We're going on and on and Alex is clearly getting more and more frustrated. He finally gets very slitty-eyed and he looks at me and states, "Want a nut. Nnn, uh, tuh." Not only could you imagine him thinking, "Hey, stupid, do I have to spell it for you?" but the point was that he had leaped over where we were and had begun sounding out the letters of the words for us. This was in a sense his way of saying to us, "I know where you're headed! Let's get on with it," which gave us the feeling that we were on the right track with what we were doing. These kinds of things don't happen in the lab on a daily basis, but when they do, they make you realize there's a lot more going on inside these little walnut-sized brains than you might at first imagine.